The paper traces the early stages of Berni Alder’s scientific accomplishments, focusing on his contributions to the development of Computational Methods for the study of Statistical Mechanics. Following attempts in the early 50s to implement Monte Carlo methods to study equilibrium properties of many-body systems, Alder developed in collaboration with Tom Wainwright the Molecular Dynamics approach as an alternative tool to Monte Carlo, allowing to extend simulation techniques to non-equilibrium properties. This led to the confirmation of the existence of a phase transition in a system of hard spheres in the late 50s, and was followed by the discovery of the unexpected long-time tail in the correlation function about a decade later. In the late 70s Alder was among the pioneers of the extension of Computer Simulation techniques to Quantum problems. Centered around Alder’s own pioneering contributions, the paper covers about thirty years of developments in Molecular Simulation, from the birth of the field to its coming of age as a self-sustained discipline. B.J. Alder, 1990. Interview (June 18, 1990), by G. Battimelli and D. Frenkel deposited at the Niels Bohr Library, American Institute of Physics, https://www.aip.org/history-programs/niels-bohr-library/oral-histories//30662. B.J. Alder, 1997. An Interview with Berni Alder, by G. Michael, https://www.computer-history.info/Page1.dir/pages/Alder.html. B.J. Alder, 2002. Interview with Berni Alder, by Mac Kernan et al., SIMU Newsletter n.4, 2002, DOI: https://doi.org/10.13140/2.1.2562.7843, https://www.researchgate.net/publication/267979976_SIMU_Challenges_in_Molecular_Simulations_Bridging_the_Length_and_Timescales_gap_Volume_4. N. Hardy, 1994. An Interview with Norman Hardy, by G. Michael: http://www.computer-history.info/Page1.dir/pages/Hardy.html. S. Leibson, 2006. Stanley P. Frankel, Unrecognized Genius, https://www.hp9825.com/html/stan_frankel.html. M. Mareschal, 2018. Early Years of Computational Statistical Mechanics, Eur. Phys. 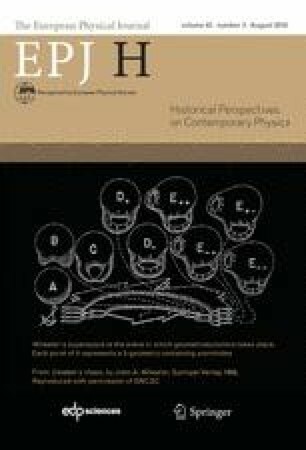 J. H, https://doi.org/10.1140/epjh/e2018-90006-7.